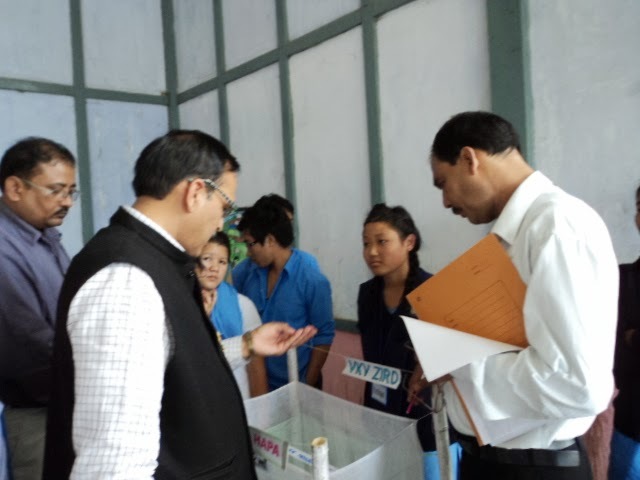 The Govt of Arunchal Pradesh Conducted Distt (Lower Subansiri) Level Science Exhibition on the theme ‘ Science,Society and Enviornment' held at Govt Higher Secondary School Ziro on 23rd September 2011. In this Competition Km. Mepi Timba of Class IX, VKV Ziro was adjudged 1st on the Sub theme ‘Agriculture and Food Security’. She will participate State Level Science Exhibition at Itanagar which will be held on October 2011. The Programme was inaugurated by Sri Bamin Tani, Principal, Govt Higher Secondary School, Hapoli.